[Image: JJ7EXSc.jpg]MUMBAI: Hindi GEC Star Plus is all set to release the third season of its popular show ‘Iss Pyaar Ko Kya Naam Doon’. 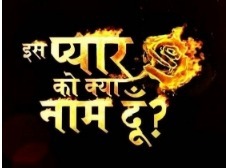 ‘Iss Pyaar Ko Kya Naam Doon 3’ will premiere on 3 July and air every Monday to Friday at 8 pm. The show is set to replace Balaji Telefilm’s soap opera ‘Pardes Mein Hain Mera Dil’. ‘Iss Pyaar Ko Kya Naam Doon’ was one of the top-rated shows for the channel. The new season is said to feature fresh stories with some new characters. The show will mark the return of Barun Sobti as Advay Singh Raizada, portraying a character of an anti-hero who is extremely calculating and yet driven solely by his heart. The new season will feature actress Shivani Tomar who will play the character of Shivani, opposite Advay Sing Raizada. The original actress Sanaya Irani won’t be returning to the show. Set against the backdrop of Allahabad, the new season will showcase a traditional Indian cultural theme. It is said to be the perfect blend of thrill, action, suspense, romance and soulful music. ‘Iss Pyaar Ko Kya Naam Doon’ promises to be different, unconventional and will showcase the darker shade of romance. Current time: 04-25-2019, 03:28 AM Powered By MyBB, © 2002-2019 MyBB Group.